Rwandan riders put in a strong performance at the inaugural continental Africa Cup that was concluded on Sunday in Asamara,Eritrea. 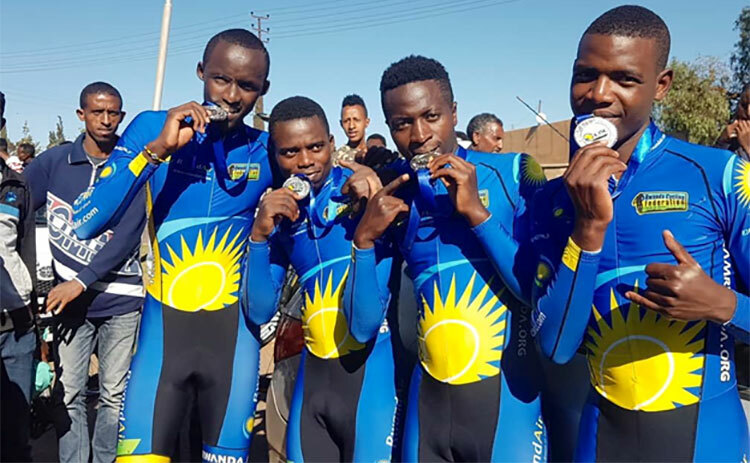 The Rwandan U23 team of Mugisha Samuel, Munyaneza Didier,Mugisha Moise and Manizabayo Eric took the silver medal at the team time trial events on the first day of the competition. Tour du Rwanda reigning champion Mugisha Samuel added two other medal finishing second the men’s elite and third in U23 road races with the bronze medal in the individual time trial going to Mugisha Moise.